Bolo Fight Wear are an upcoming fight wear brand based in the United Kingdom, offering top quality products at cheap affordable prices. 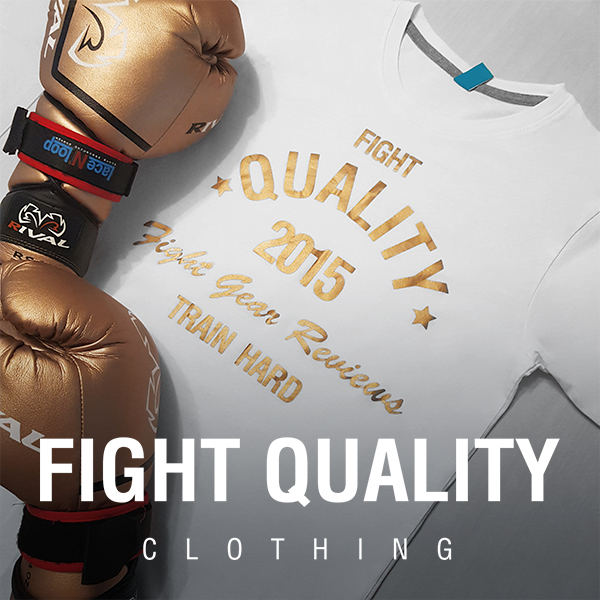 They have a heavy focus on gear which would definitely appeal to MMA and Muay Thai practitioners. Bolo sent us some of their traditional Thai style shorts to review. These shorts are designed as a traditional Thai style short, as opposed to the more modern style of Thai short which Bolo also produce. These are similar to many of the shorts often seen throughout Thailand with their bright colours and bold designs. These shorts come in four colour variations, black, white, blue and red. All colours look great, and we really like the contrast provided on the darker shorts. The colour we used was the red version. Out of the box, the vibrancy of colour was the first thing to be noticed. While some brands steer clear of brighter colours, Bolo have found a brilliant shade of red, which looks even better in real life. Apart from the colour variations, all of the shorts feature the same graphics. The words ‘Muay Thai’ are written across the front, which goes well with the tribal-styled graphics which curl up the front and back of each leg, which really give off that traditional Muay Thai aesthetic. The waistband and legs are also both highlighted with gold to add to the effect. In my personal opinion, the clean white Bolo logo with its shiny plastic look and feel does look a bit out of place, but other than that these shorts could easily be mistaken for one of Thailand’s own brands. The shorts are made from polyester, as opposed to most Thai shorts which are made of satin, however I found these shorts sat just as comfortably on the skin (if not more comfortable than some). The graphics are created by two layers of material stitched on. This does make the shorts a little bit stiff at first, but after a couple of washes and a bit of use they wear in nicely and this problem goes pretty quickly. The stitching on the graphics is pretty sturdy and well done, and I haven’t noticed any problems, however I can’t help but feel it could all be a little neater. That said, it’s hard to spot without looking up close, so this is really a minor issue. I found these shorts to fit really nicely. There isn’t too much excess space around the shorts or the legs, but at the same time there is enough space that the shorts don’t limit movement in any way. I’ve found in the past that some shorts can be either too loose, or tight enough to limit flexibility, however these seem to find a great middle ground. If you like your shorts a little tighter around the waist, there is also a handy draw-string on the inside, which means you can secure these a little tighter. Saying that, I personally found the elasticity held itself in place well enough. The length is about average for Muay Thai shorts, sitting at a nice height on the leg. When using these shorts, I found them to be really comfortable and once the issue with the stiffness of the graphics had passed, these became a really nice pair of Muay Thai shorts. There was no rubbing either, and even with a groin guard underneath the shorts there is still plenty of movement in the shorts. The price is what really sets these shorts apart. It’s usually a challenge to find a good pair of Muay Thai shorts for under £30, however Bolo’s shorts have managed just that and remain affordable at around £25. These really are great shorts for the price. With visuals similar to those of the more renowned brands, and the fact these shorts are as comfortable as they are is really impressive. You can get these shorts from Bolo by visiting the Bolo Fight Wear Facebook page.